Slowly but surely, we are beginning to see more and more rumors and leaks about Google’s upcoming premium flagships. The Google Pixel 4 and 4 XL are coming later this year, no question about it. A new report suggests two working codenames for the Pixel 4 and 4 XL. The Pixel 4 bears the codename “coral” but the Pixel 4 XL is interestingly codenamed “flame”. Google has so far codenamed its hardware products after marine animals and “flame” would be the first time Google strays away from such naming convention. This may point towards some kind of feature that the Pixel 4 XL would be capable of, but it’s anyone’s guess at this point. 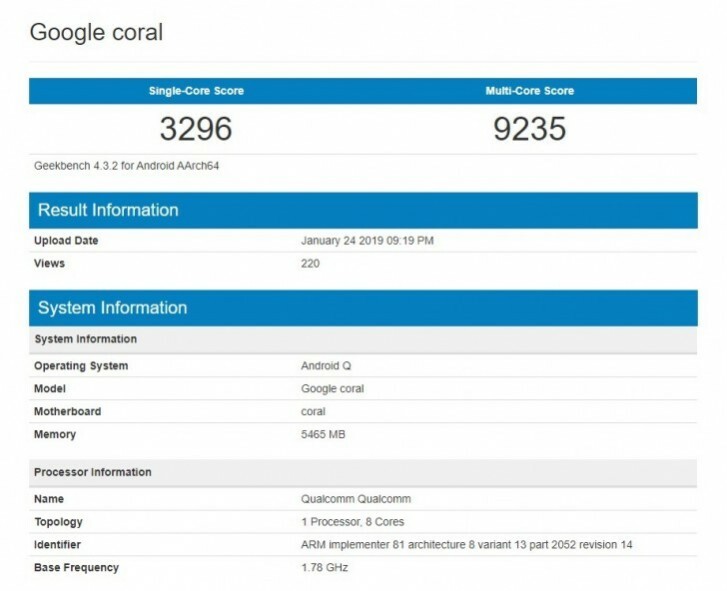 We’ve previously seen benchmarks for a device codenamed “coral” and we are surer now that this is early Google Pixel 4 hardware. We expect the Pixel 4 to run a Snapdragon 855 and we will finally see an increase of RAM from 4GB to 6GB. Not much else is known about the two Pixel 4 devices at this point, but we should hear more as we slowly approach the launch of Google’s mid-range Pixel 3a and Pixel 3a XL.